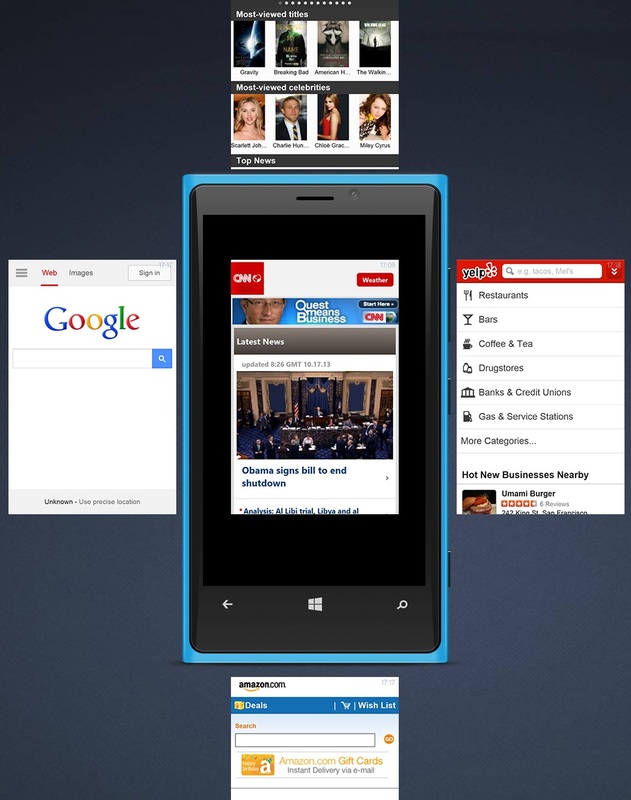 Maxthon today announced the launch of its Cloud Browser for Windows Phone. You can download the new app now directly from the Windows Phone Store. The new third-party browser actually became quietly available late on Thursday. We asked the company about this and were told Maxthon “soft-launched” last week to make sure there were no hiccups searching for it and downloading it today when the official announcement is made. Cloud services with multi-device support: Users can sign in with a free Maxthon Passport account and sync their favorites online, and to other devices using the Maxthon Cloud Browser on Android, iOS, Windows and Mac. Ease of use with (patent-pending) implementation of tabs: Maxthon for Windows Phone’s tab navigation allows users to swipe up and down to go forward and backward in browsing history, which no other Windows Phone browser offers. Favorites optimized for mobile touch screens: Users can add, change and access favorites in a more intuitive and easier to use way than any other Windows Phone browser. Live tiles in Quick Access: Maxthon has taken its “Quick Access” feature and reinvented it for Windows Phone with animations. Pop-up address bar: Users can access search and the address bar when they want it, with a simple gesture that causes them to pop up. There aren’t many browser alternatives to Internet Explorer on Windows Phone. The options include UC Browser, SurfCube 3D Browser, and Nokia Xpress. Maxthon is the first browser with a recognizable name to show up on Microsoft’s mobile platform. Those who use it on other platforms will be happy to see it, while all other Windows Phone users should see its arrival as a sign that Windows Phone app development is slowly but surely picking up.